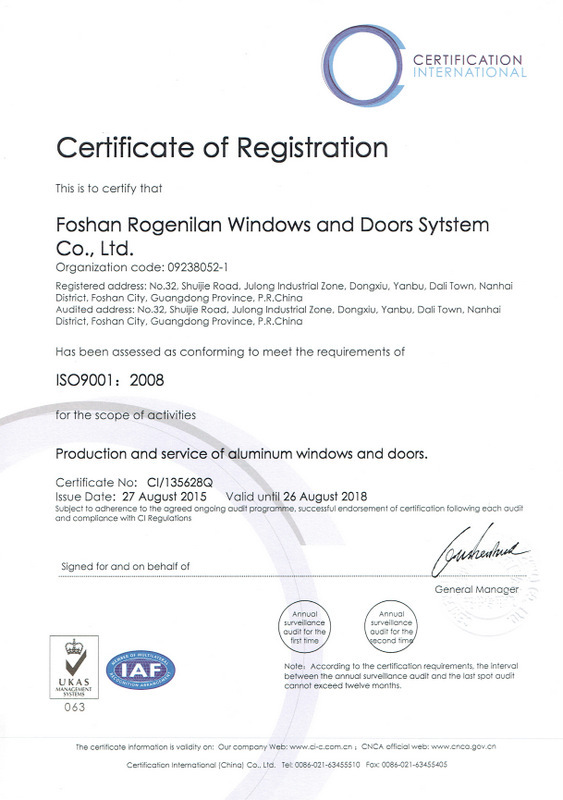 Company Overview - Foshan Rogenilan Windows And Doors System Co., Ltd.
5YRSFoshan Rogenilan Windows And Doors System Co., Ltd.
Foshan Rogenilan Windows And Doors System Co., Ltd. is located in Foshan, covers an area of 15,000 square meters and equipped with world-class production line. We have been in aluminum windows & doors field for 15 years and we are mainly engaged in middle and high-end aluminum windows and doors. Our products are widely applied to high-end residential apartment, villas, hotels, commercial projects.We are famous for our superior quality, first-class craft-works and competitive prices. We has attained ISO9001-2008 certification and passed AS2047 certification. We have exported our products to Australia, North America, Europe, Southeast, Middle East, Africa and other countries. With the principle of "Professionalism, quality and integrity", our products enjoy high reputation among our customers.We sincerely welcome friends from all over the world to visit our factory and cooperate with us on the basis of long-term mutual benefits. We are looking forward to receiving your inquiries soon. 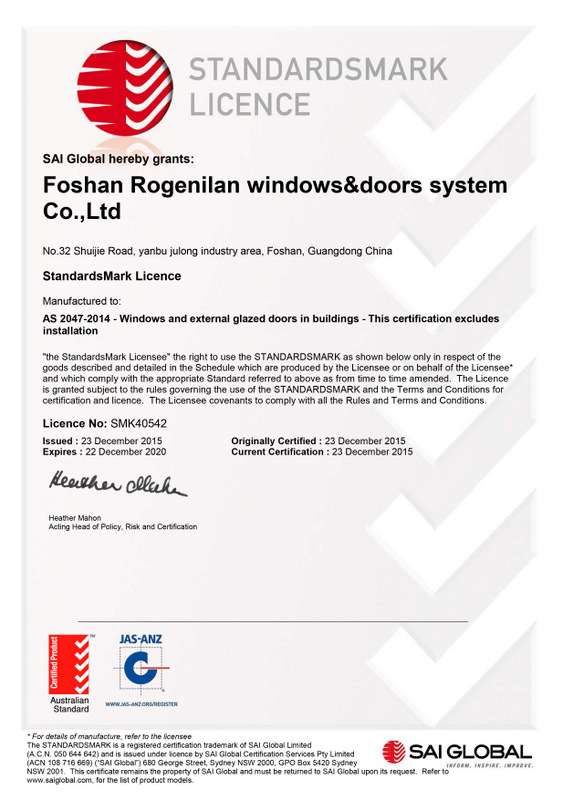 Certification International (China) Co., Ltd.
Production and Service of aluminum windows and doors.